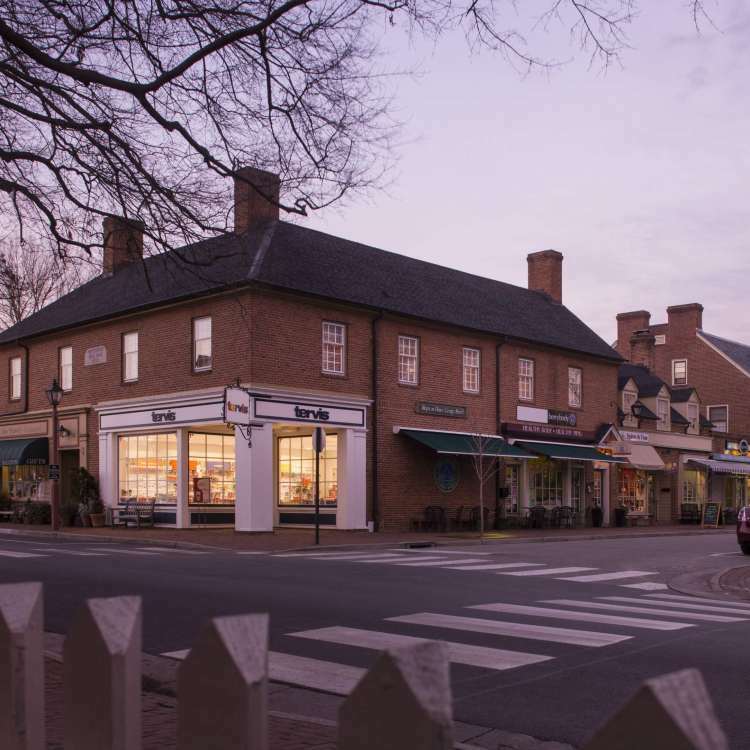 The most conveniently located lodging in downtown Williamsburg, the Fife & Drum Inn is situated between the Historic Area and the College of William and Mary. From the inn’s front door, the College Admissions Office is just a two-block walk west, and the colonial Governor’s Palace is a two-block walk east. When you stay at our inn, you will enjoy a respite of rest, relaxation and romance. Our Cottage and our eight rooms, each individually and uniquely decorated, contain their own private baths with tiled showers, individual heat and AC thermostats, European shower massage, cable TV, free high-speed Wi-Fi, hair dryers, monogrammed bathrobes and first-class amenities. Convenient off-street parking is included at no cost. In the morning the halls are filled with aromas of fresh-baked breakfast casseroles and piping hot biscuits with Virginia ham. Also on our morning buffet, we feature fresh-cut fruit daily, granola, hard boiled eggs, bacon, and gluten-free cereal and juice. Our guests rave about our freshly ground coffee, and we expect you will too! We invite you to fulfill your getaway dreams at our Inn as we extend our hospitality in this extraordinary destination. This truly will be your opportunity to make a little history of your own.